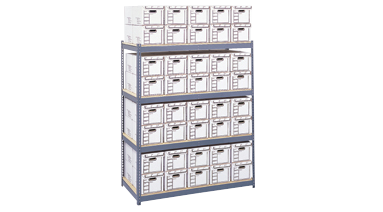 A specially designed shelving frame to hold shelves and archival storage boxes with no wasted space. Heavy-gauge steel frame easily locks together without tools. Ready to assemble. Holds up to 900 lbs per shelf. 69"W x 33"D x 84"H. Grey.